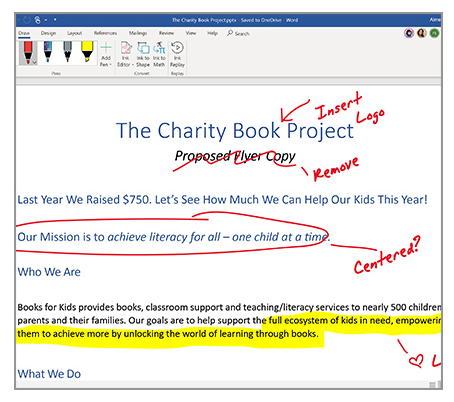 The best just got better, with new Office 365 features designed to ignite your creative process, plus with all your essential favourites in one place - it's time to create your best work. 2 Touch capable tablet or PC required. Pen accessory may be sold separately. 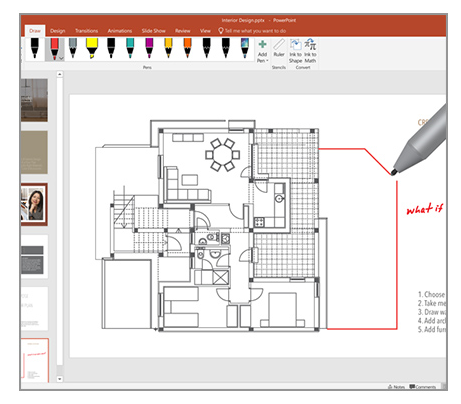 Grab a digital pen* and start putting your thoughts together on your laptop or PC then easily select, edit and convert it into real text and diagrams. Whether it's your handwritten text or multiple shapes easily go from diagrams and ideas to polished slides. *Requires Office 365 subscription and touch-enabled device. Pen accessory may be sold separately. 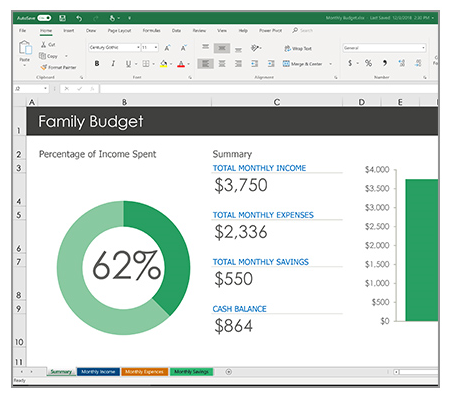 Easily track your finances using Excel templates that will help you track and manage your personal financial data like a professional. Carefully designed formulas and catgories make tracking your income, expenses and savings much easier. Android KitKat 4.4 or later version and have an ARM-based or Intel x86 processor. Ryzen 7, Nitro + RX580 GAMING PC - AMD Ryzen 7 2700 | 16GB DDR4 RAM | 240GB M.2 SSD | 2TB Internal HDD | Sapphire Nitro+ RX580 4GB Graphic Card | Windows 10 Home | Bullguard Internet Security | WiFi | One Year Warranty. Ryzen 3 Gtx1050 Ti Gaming PC - AMD Ryzen 3 2200G up to 3.7Ghz | 8GB RAM | 240GB SSD | 1 TB HDD | GTX 1050Ti 4GB Graphics Card | WiFi | Windows 10 Home 64bit | One Year Warranty.